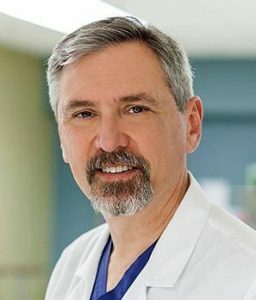 Xavier A. Duralde, M.D. joined Atlanta-based Peachtree Orthopaedic Clinic in 1993. He also served as an Associate Adjunct professor at the Emory University School of Medicine in Atlanta, and as lead orthopaedist for the Atlanta Braves. He is a member of the American Shoulder and Elbow Surgeons, Association of Bone and Joint Surgeons where he is currently serving as President, and the Major League Baseball Physician Association. He has also served as President of the Georgia Orthopaedic Society. Dr. Duralde focuses on shoulder surgery. He has authored numerous research papers and book chapters on conditions of the shoulder. In 2013, Piedmont Atlanta Hospital named Dr. Duralde winner of the Montague Boyd Excellence in Publishing Award which is given annually to clinical staff to recognize research and publishing achievements. He has served as a Major in the United States Air Force. While in the Air Force, he served as Chief of Surgical Services and Chief of the Orthopaedics Department at a military hospital in Oxfordshire, England. He is also a member of the Peachtree Orthopaedic Clinic volunteer team and offers charity care in Haiti each year. Dr. Duralde obtained his undergraduate degree at Harvard University. He earned his medical degree and completed his residency as well as a shoulder and elbow Fellowship at Columbia University College of Physicians and Surgeon in New York City.